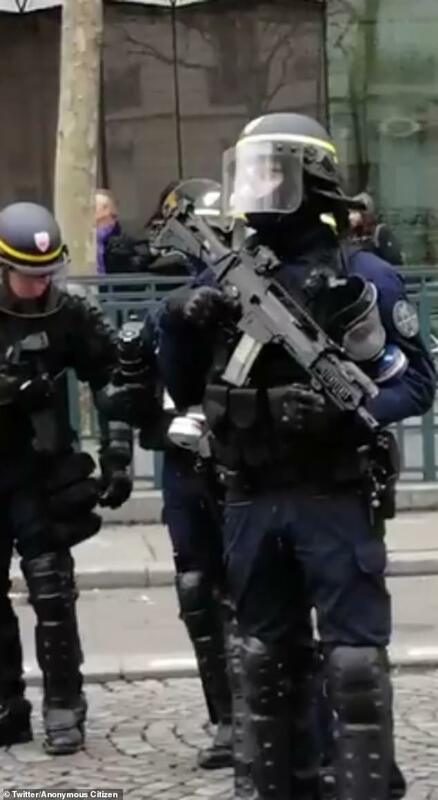 French riot police were filmed brandishing Heckler &amp; Koch G36 weapons by the Arc de Triomphe in Paris on Saturday afternoon. Emmanuel Macron intended to start the new year on the offensive against the &#039;yellow vest&#039; protesters. Instead, the French president is reeling from more violent street demonstrations. A new video shows Cameroonian soldiers executing about a dozen civilians during what appears to have been an operation against Boko Haram.